This fun filled printing activity will encourage your young child to explore the artistic process while learning a valuable lesson about recycling and reusing. If you've ever hung decorative ears of corn in your home for the holidays or used them as part of a fall wreath, there's no need to throw them out once the season is over! Instead, utilize the corn ears as a simple art material. This corn print activity will inspire your child to be creative while she recycles, and help her to learn about basic art and design elements such as colour, pattern, and texture. This is a great activity to do during the fall and winter seasons! 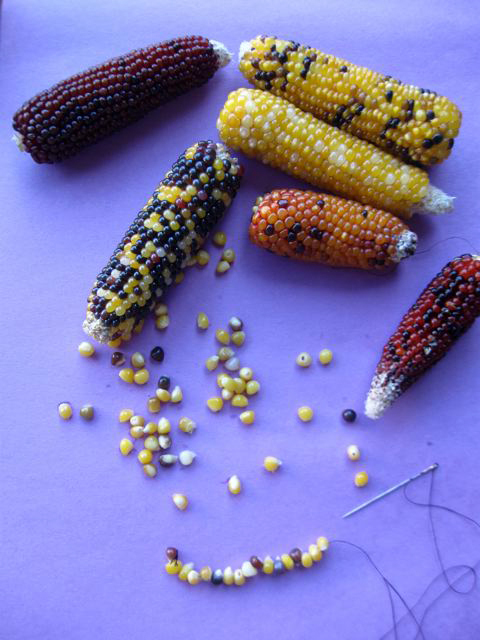 Before you begin the activity, take some time to look at the corn with your child to make some observations. Show her the different colors and the patterns that the colored kernels create and pay particular attention to the texture of the corn. Now it's time to start painting! Give your child a selection of paint colors. For an added colour lesson, provide only the primary colors (i.e., red, blue, and yellow) and some white paint. Have her explore with mixing and blending different colors to create a rainbow of her own unique colors. Help your child dip the corn into the paint. Encourage her to roll the corn in the paint (this will help to cover the whole piece). This part can get messy, so make sure you're working in a protected area. Instead, if you like, you can help your child use a paint brush to cover the corn in paint. 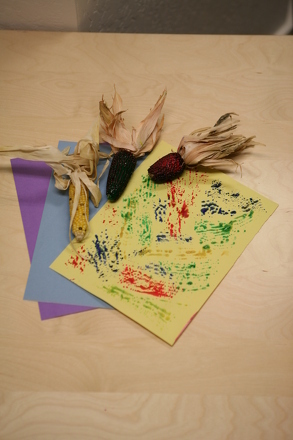 Ask your child to firmly press the corn onto the construction paper to make a corn kernel print. 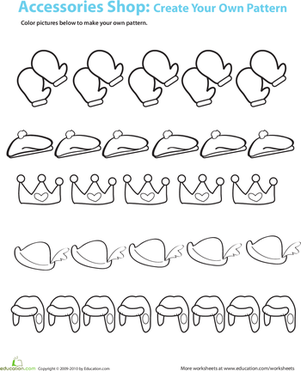 Encourage her to repeat this several times, creating multiple images and patterns on one piece of paper. 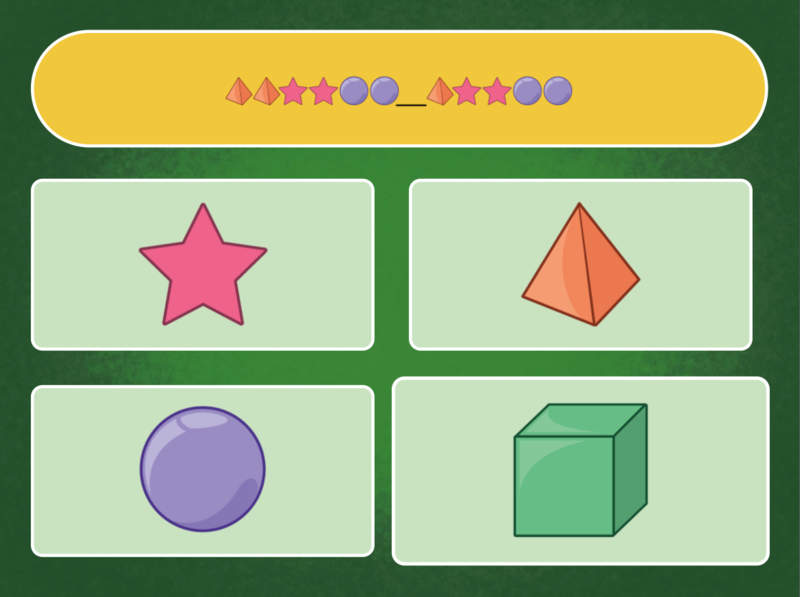 Try making patterns based on shape, colour, or even texture. When her prints have dried, you can hang them up in the house as a decoration or simply to display as a work of art! When you child is finished pressing and printing with the corn, allow her to explore and experiment with using the corn as a new painting tool. Watch and see what types of colorful creations she can make with the corn used as a painting brush. 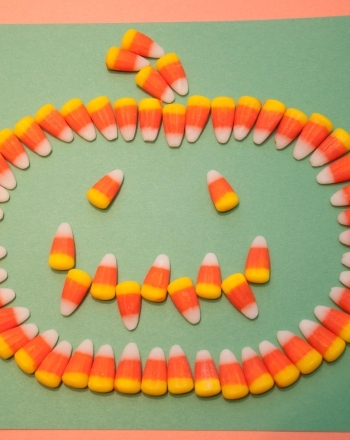 Whether you love the sweet candy kernels or not, the vibrant colors of candy corn make them perfect for your child and his artistic talents. With this gardening coloring page you can learn a bit about planting corn! No autumn is complete without a corn maze adventure! Build motor and logic skills with this fall maze. 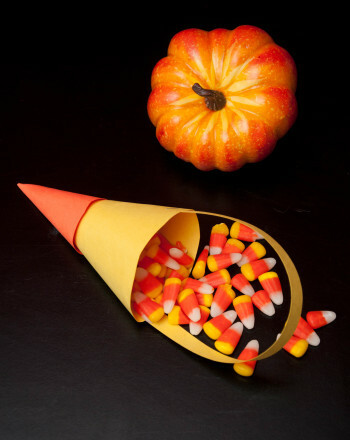 Have your kid construct a candy corn candy holder perfect for carrying a few lightweight treats. Decipher these patterns made from playing cards with your first grader. 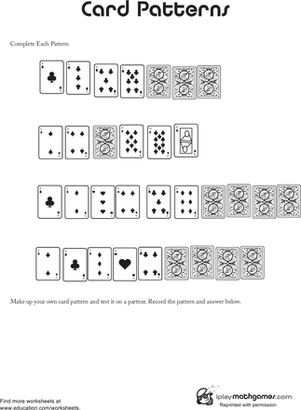 Here is a more creative and challenging pattern sequence worksheet where kids can use their imagination to create their very own patterns! 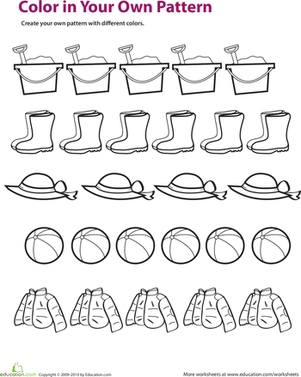 Here's a set of complex patterns for first graders who need practise with shapes and patterning.